If ever there were an event in which you could take one those magical page-turning books that we once read, and turn them into a reality, how many of us would? Well, if Richard Geers Star Journey tale was ever one of your favorite reads that you wish to see spring to fruition, then Rebelmum Slade, or Rebs, her preferred moniker, has made your dreams a reality. Rebs has taken pieces of the tale and turned it into a sprawling garden rip right out of the Star Trek series. 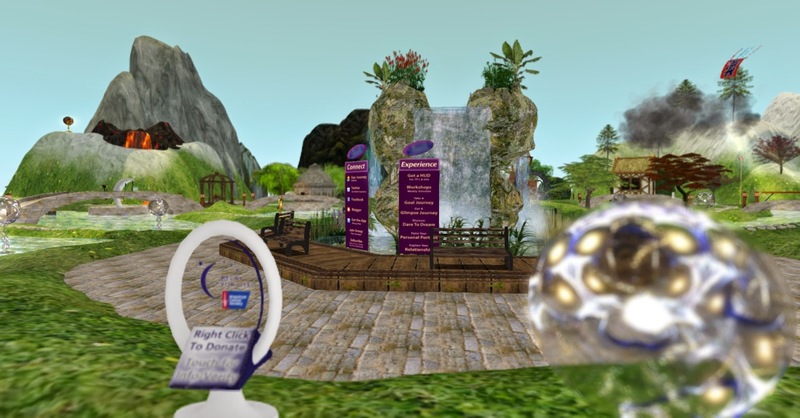 The sim boasts activities plentiful, with the aid of HUD travel and interaction. The sim also hosts other stationary activities, such as course that encourages self-reflection and internal dialogue to inspire change and self-help. If you are mentally prepared to take this journey, strap in and prepare for take-off into the galaxy of your own mind, and that of the Star Journey Gardens. Mikile Vinciolo: Can you start by telling us who is Rebs Slade? Rebelmum Slade: Rebs (Vanessa Taylor) has been in SL since February 2007. Slade came in at the height of the corporate excitement around SL and was investigating the platform to see if it was suitable for a client in her RL business. It turned out not to be but Slade had quickly become addicted to the possibilities and creativity SL offered. MV: How long has Star Journey garden been around, and why create a garden, and to be more specific, why create a garden as unique as Star Journey in the first place? RS: Rebs met Richard Geer the author of Star Journey early in 2008. 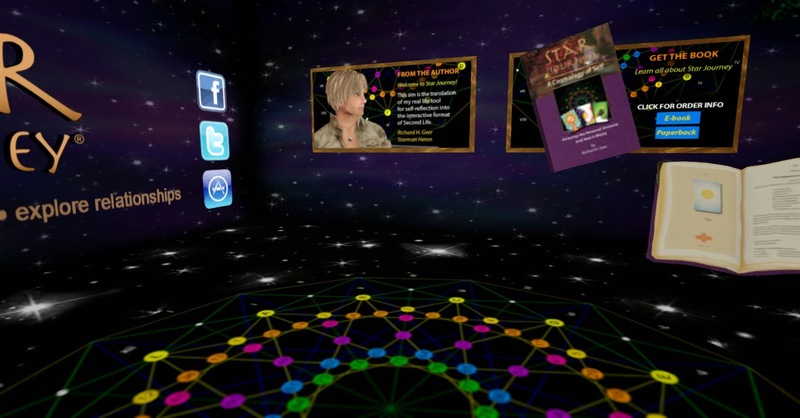 Richard had previously published a self-help book called Star+Gate and thought it could work in SL in some form or other. Rebs undertook the idea to make that dream become a reality and spent weeks getting to know the system before designing the SJ you see today. Wanting to bring the book to life, as well as create a place people could simply come and wander through, guided, Rebs design. Rebs pulled together a team of creators and helpers who all placed their heart and soul into the construction project. Which, to this date, has held together and not been broken by any LL updates, thanks especially to a very talented scripter, Obi Woebegone. 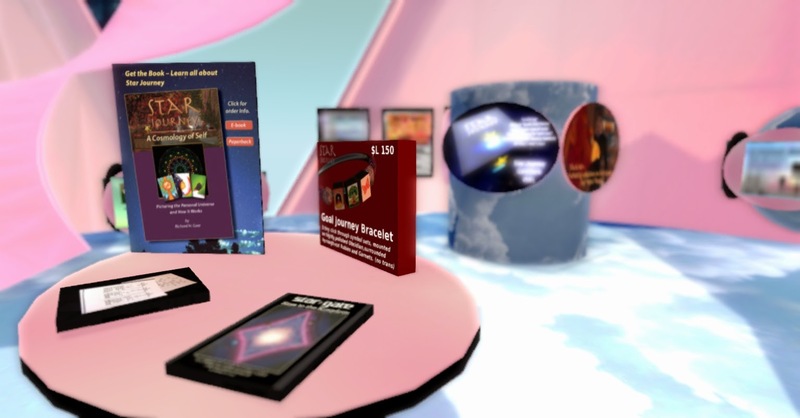 The Star Journey sim is a 3D version of Richard H. Geers book, Star Journey – A Cosmology of Self. This book is a real life system of self-help and we wanted to bring the tool into SL to help even more people. MV: The garden also seems to have some interactivity, as well. Can you tell our readership what are things to do in the garden besides gaining peace of mind? 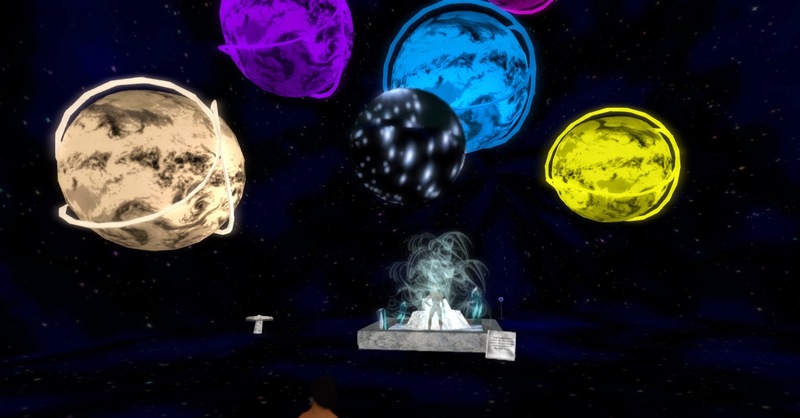 RS: The Star journey system utilizes 96 symbols to assist people, these symbols are represented on the sim by things to make people think and feel, these are quite often interactive. 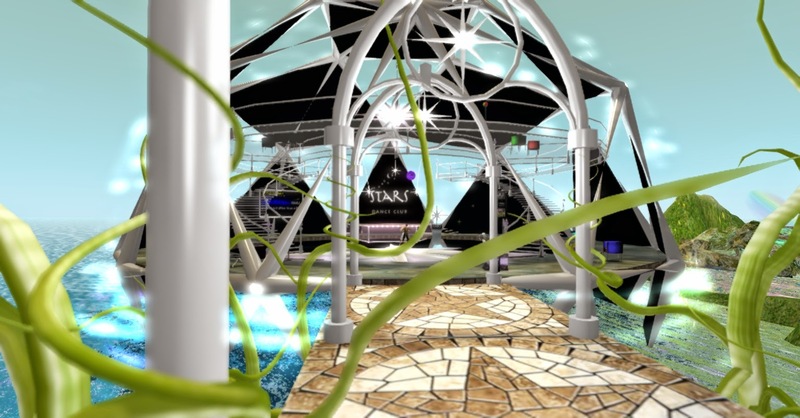 Star journey also has 12 art galleries in the sky as well as 12 Star all representing different level of consciousness. There are 12 different gardens linked by 12 seas, we also have 12 rezz on-demand rooms accessed via the HUD, each of these areas are all designed to be part of the Star Journey Cosmology and each has its own role to play in helping people help themselves. The physical layout of the Star Journey Cosmology can be seen on the SJ circle pattern, each letter and number on that pattern has a designated place and item on the SJ sim. With the help of our scripter we designed the pop up information, making it less spammy, and it will only give information every so many visits saving people the hassle of receiving the same info over and again. MV: The workshops that you host on the garden grounds, what are some of the subject topics that are discussed? RS: Whilst still a full partner with Richard and Gerry, I have stepped back active involvement on the SJ sim due to RL health challenges. Richard and Gerry now host all sessions on Star journey; some sessions are simply introduction to the SJ system, others deal with specific subject the attendees have suggested. Some are simply practical such as how to use the HUD. We have a series of journeys available for everyone to undertake and a basic method of interpretation. Among these are the Glimpse which can be used on the fly in RL if needed for example heading into an important meeting using our phone app you could clarify your key purpose. Or using our Personal Profile journey you would spend time creating a complete profile of yourself and then use that to address some area of your life, our Dare to Dream journey takes you the here and now through to the culmination of your dream. Many of our journeys can be used by couples wanting to deepen their relationship so often our workshops will focus on challenges couples face, other journeys are suitable for corporate team building or assisting in the rehabilitation of our war heroes. Star Journey – A Cosmology of Self is an amazingly versatile tool with almost limitless applications for our lives and the betterment thereof... Many sessions on the sim are the same as the workshops and session they run in RL. In RL SJ is quite often used by health professionals both the help their clients or as a personal growth tool for professionals that deal with the health of others daily. MV: All things evolve and change, and with that being said, what are some amendments that you are thinking of making to the garden in the near or distant future? RS: I am happy to say that this year we are revamping Star Journey under the guidance of Richard Lorraine Charron began to swap out high prim and highly scripted items in the gardens and seas for lower prims ones and has taken ownership of the garden upgrade by changing textures, creating new bridges and platforms etc.. SL has indeed involved and it’s time to take advantage of those changes. Every attempt is being made to make the transition a smooth one. The sim will maintain the original design, in fact the new building in space is becoming the realization of the first model I built but couldn’t execute at the time due to Linden labs limitations so it is wonderful to see the work done so far by artist Fuschia Nightfire on the ‘sky’ section. Alexa Trefoi continues the work begun by these two wonderful ladies. Once again if you would like to meet the author Richard, Gerry or either of the ladies currently revamping SJ please let me know. You are also most welcome to a personal tour with either myself, Richard or Gerry. Star Journey – A Cosmology of Self by author and system creator Richard H. Geer is available in paperback or eBook from Amazon and Barnes and Noble, Kindle and Nook.